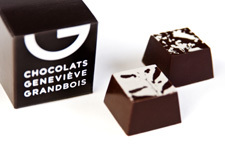 My final souk@sat post is on Geneviève Grandbois’ delicious chocolates. The perfect holiday gift for all those who love sweets! Merry Christmas!